What’s the right diet? The right exercise? The right number to retire? 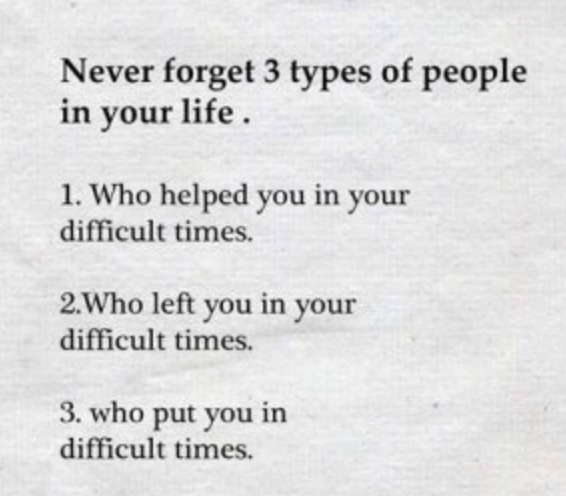 The wrong people to be around? The right way to get rich? Is the world going crazy? 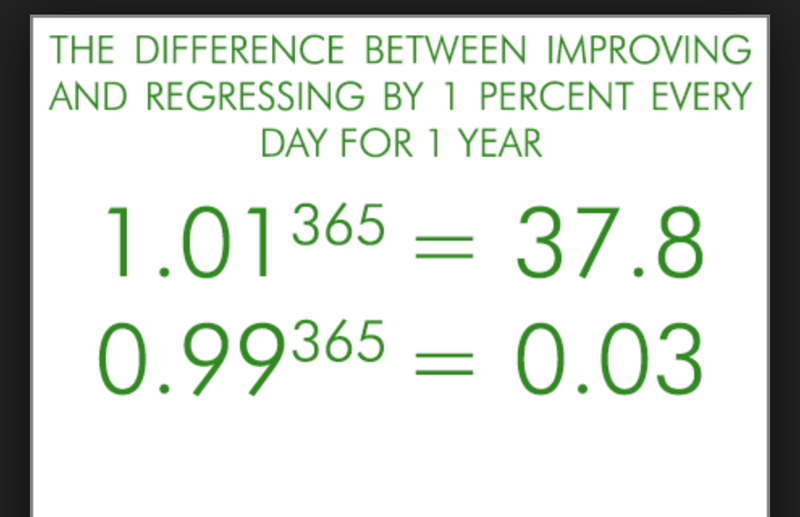 The key is: every day focus on how to improve 1%. Most people stick to their routines. They lose track of the idea of 1% improvement. They forget the magic formula: 1% a day improvement, compounded, equals 3800% per year. Every day, if you like this: I will post ten links to the outside world that either give me pleasure, or help me on the route to achieving that small, tiny, 1% per day. I want to be the best I can be: for myself, for my family and friends, for readers, for the world. Tell me in the comments if you like this sort of article. Where are the five places that there is an unnaturally large number of people over the age of 100 with high quality of life? 15% of Americans are mentally ill. We all know from experience that these people will drain time, money, happiness, and opportunity from your life. And we only live one life. You can always make money back but you can never make time back. So it’s important to maximize your energy and be precious with the time you give others. I hate when the earbuds get tangled! That’s a billion person problem. So much of us (including me) fall into the “routine”. We grow up a certain way and that defines our beliefs, our actions, our routines, our career, our life. How can we step back and figure out our “first principles”. Core principles that we believe in, unique from the principles we grew up with. And how can we use those core principles to live a better life? IF YOU ARE IGNORED, CAN YOU BE A SUCCESS? ANSWER: YES. If your art or work is GREAT but IGNORED can you still consider yourself a success? 32 year old millionaire wrote an excellent essay on how to be rich. I’m fascinated about how to get good at very hard skills, very fast. This is an obsession of mine. I’ve gotten good at chess (and many other games), investing and business, writing, podcasting, comedy. Does someone need 10,000 hours? As claimed by Malcolm Gladwell, based on research by Professor Anders Ericsson? I grapple with this and post ideas in each one of these articles. 60 SECOND MEDITATIONS. WORTH IT. Meditation is NOT about sitting cross-legged for an hour and then reaching “englightenment” and getting super powers. Meditation is practice. Practice for what? 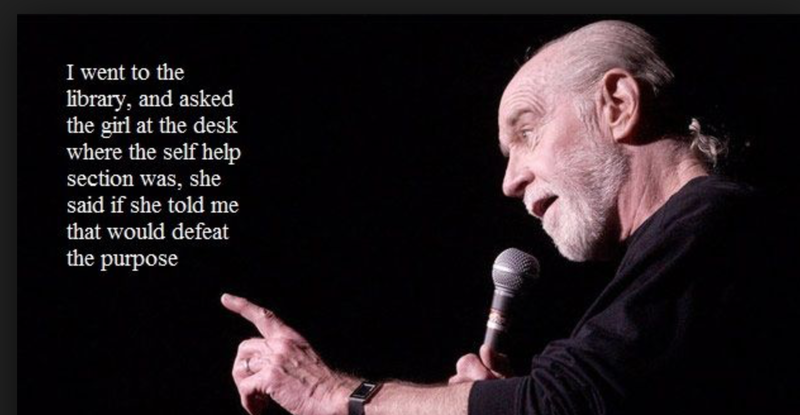 For the stream of thoughts that plague us each moment: he did this, she did that, my boss said this, my employee is lying, why did my spouse say this, should I worry about my job, on and on all day. This is suffering. The way out of suffering is to practice for when you dive down the rabbit hole of negative or wasteful thoughts. It’s practice to say, “I’m in the rabbit hole” and “Time to pull myself out”. This way your thoughts, which burn energy (the brain burns 25% of your calories a day) can be put to their most powerful use as a tool instead of a prison guard. DO YOU REALLY WANT TO LIVE HERE? I once Airbnb-ed an $18/night tent. I love to stay anywhere and I don’t feel the desire to live in a big place. I love reading these. Tell me if you want me to post them here. We all want to be better in our lives. It’s hard. Maybe we can all help each other.